Will reportedly have its world premiere at the 2017 Geneva Motor Show. 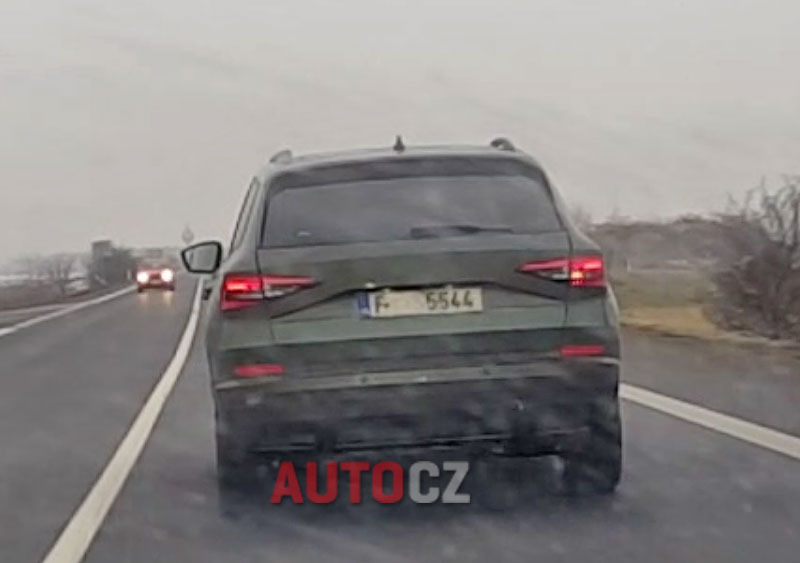 The 2017 Skoda Yeti has been spied undisguised in the Czech Republic leaving almost nothing to imagination about the future SUV's exterior. 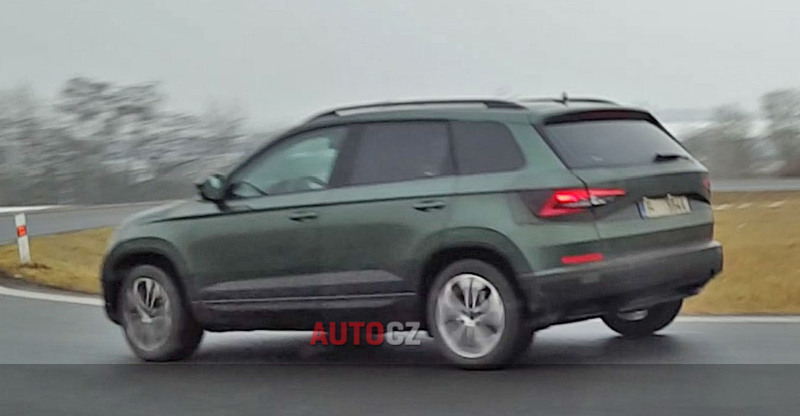 The spy shots, which were captured by Auto.cz reader Peter, indicate that the 2017 Skoda Yeti looks almost like a smaller Skoda Kodiaq from the sides and back. The MQB platform-based second-gen Skoda Yeti is a mechanical cousin of the VW Tiguan and Seat Ateca. From the sides, the all-new Skoda Yeti looks just like the Seat Ateca up to the C-pillar, behind which there's a much bigger quarter glass. At the rear, the tail lamps have a striking resemblance to those of the Skoda Kodiaq. The new generation Yeti is indeed "dramatically different" from the outgoing model. The 2017 Skoda Yeti is expected to pack the same three- and four-cylinder TSI petrol and four-cylinder TDI diesel engines as the VW Tiguan and Seat Ateca, with displacements ranging from 1.0- to 2.0-litre. 6-speed manual and 7-speed dual-clutch automatic are the expected transmission choices, while front-wheel drive and all-wheel drive are the confirmed drivetrain layouts. Like the Kodiaq, the all-new Yeti may get Scout and Sportline variants later during its lifecycle. The 2017 Skoda Yeti is expected to pack the same three- and four-cylinder TSI petrol and four-cylinder TDI diesel engines as the VW Tiguan and Seat Ateca. The 2017 Skoda Yeti will reportedly have its world premiere at the Geneva Motor Show next month and likely go on sale in Europe later this year.